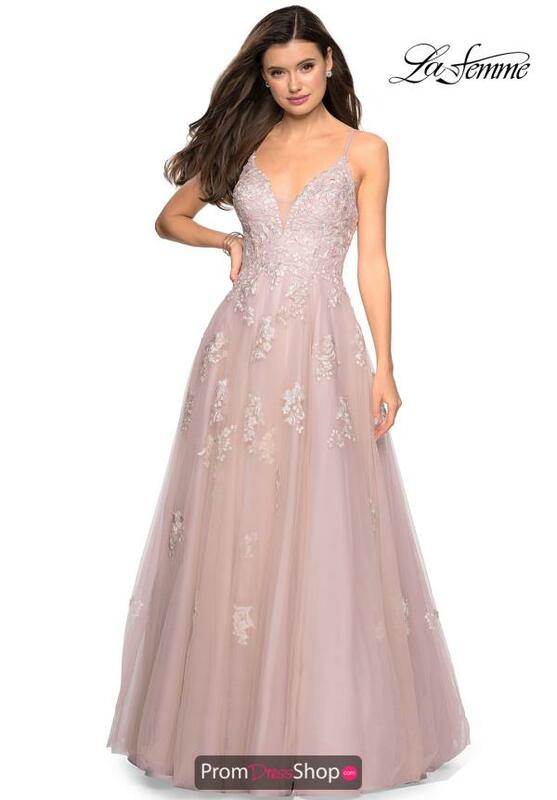 Look and feel like a modern day princess in this dreamy prom dress style 27320. Esteemed designer Gigi places lace applique throughout this look to give it a stunning touch. The fitted bodice is adorned in lace designs and features a low v cut neckline with thin straps that lead into a semi open back. 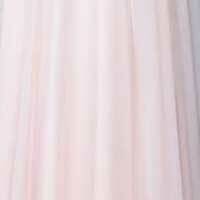 A tulle skirt forms a structured a line silhouette.